While on a holiday in Nagasaki, I made sure not to miss the most historical place located in there. The Nagasaki Peace Park. 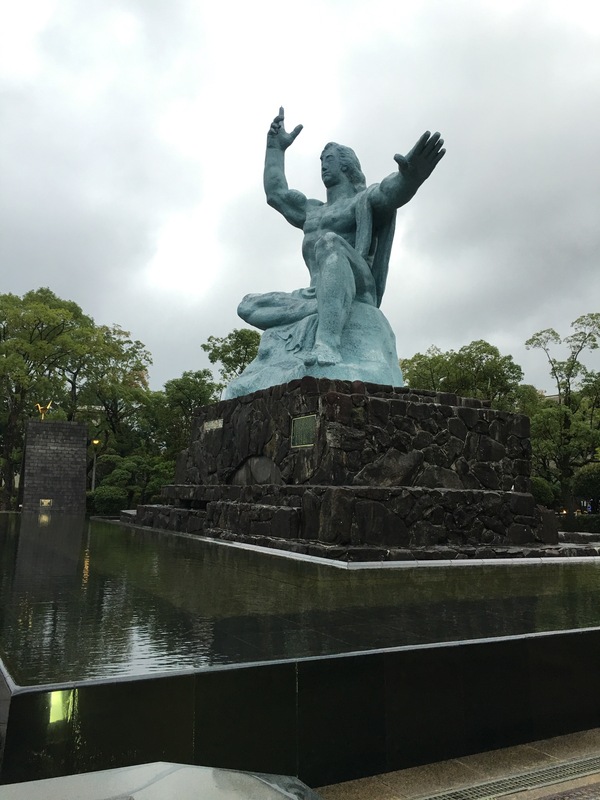 It commemorates the atomic bombing of the city on August 9, 1945 during World War II. 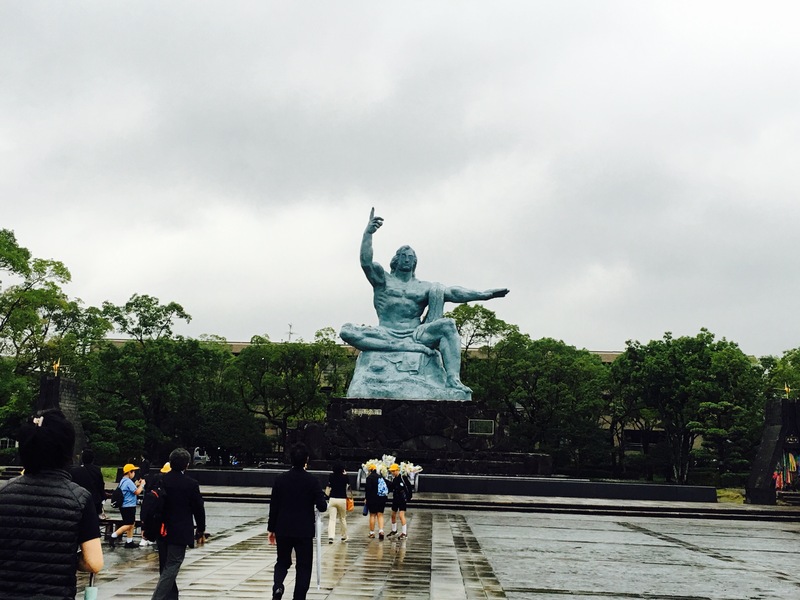 It was established in 1955 situated near the hypocenter of the explosion. In front of the statue is a black marble vault which contains the names of the atomic bomb victims and survivors who died in subsequent years. It took me about 30 minutes by car from where I stayed. It was a rainy afternoon that day but I did not let the weather hinder me from going. First stop was the Nagasaki Bombing Museum which is a stone’s throw away. My heart ached as I entered the place. I saw the remnants of horror that happened many years ago. However, when I reached the Peace Park, I felt at peace and relieved. Relieved because this park conveys the intense desire of harmony. Many people had suffered enough. And this is a heritage that will remind the people and the generations to come to unite instead of fight. What happened in history was too much. The agony was extreme. Let us pray it will never happen again. Never again. “…the highest hope of all mankind.” Yes….Thank you for sharing this. Sobering. I visited Hiroshima in 2005 and was changed by that experience. It should be mandatory for all who wield power. I couldn’t agree more! They might realize something. Anyway, I will visit Hiroshima one day. A beautiful tranquil feel to this statue. I hope that “the highest hope of all mankind” does eventually come. Lovely image and it certainly has peaceful sentiments. What happened in the past there was atrocious, and we can all learn from that. Places like these serve to remind us how lucky we are and to look towards the future while never forgetting about the past. I couldn’t agree more! May we all live in unity.